Working for a small business helped me to develop the skills I needed to pursue my lifelong dream of owning a business. 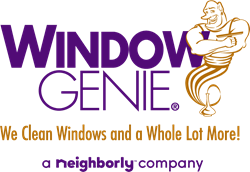 Window Genie announces the grand opening of its newest location in Katy on February 26th. Lance and Susie Boyce are the owners. Window Genie is a national home service franchise specializing in residential and light commercial window cleaning, window tinting, pressure washing, gutter cleaning and more. Window Genie of Katy will service the surrounding communities including Cinco Ranch. Lance Boyce spent 20 years in corporate finance before joining a local start-up that specialized in electric vehicle charging. “Working for a small business helped me to develop the skills I needed to pursue my lifelong dream of owning a business,” Boyce said. Window Genie officially opens for business on February 26. Each technician is fully trained, insured, bonded and has passed a background check. For more information, contact Lance Boyce directly at LBoyce(at)windowgenie(dot)com or by calling 281-712-2552.